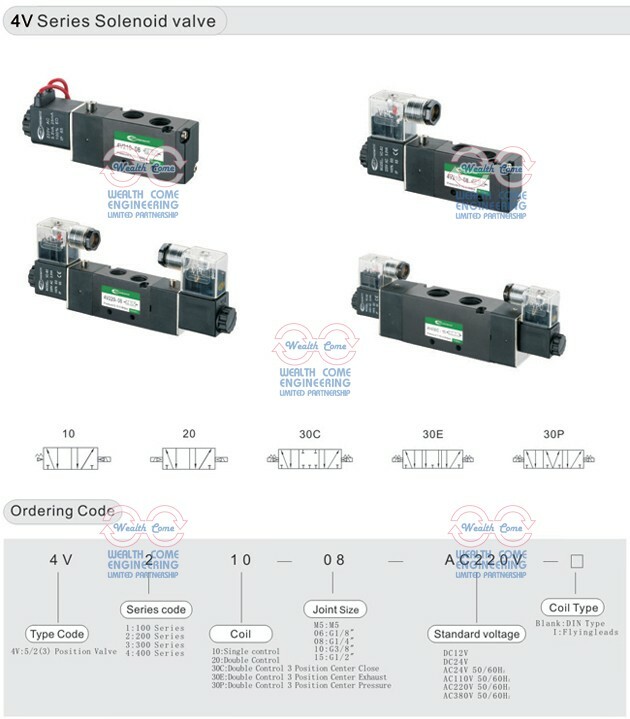 4V series solenoid valves have 5/2 and 5/3 types, size from M5 to 1/2", while 5/2 typs have single solenoid type and double solenoid type, Single solenlid valves is repositioned by the spring, and the double solenoid vavle is repositioned by the coil. 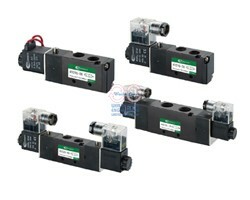 5/3 type solenoid valve can make the cylinder piston stop at any position. 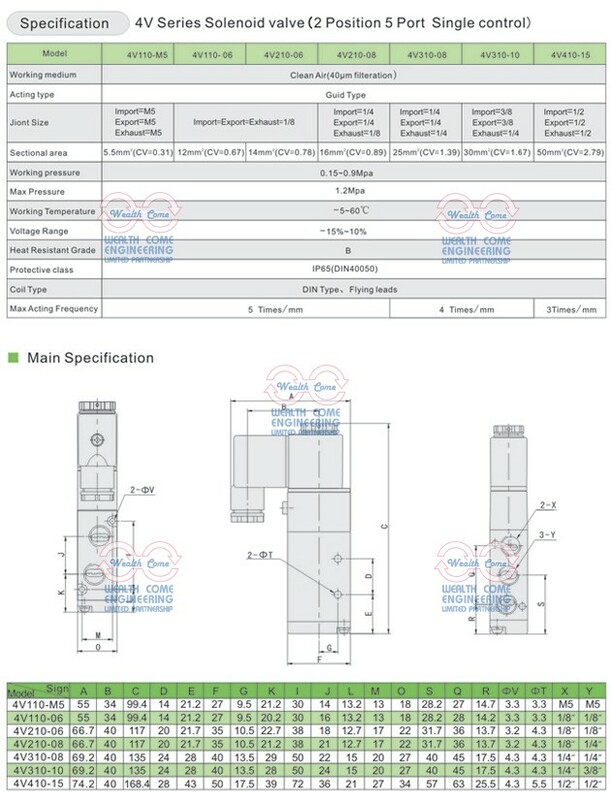 ต้องการข้อมูลเพิ่มเติมเกี่ยวกับ โซลินอยด์วาล์วลม 5/2,5/3 ทาง 4V Series ขนาดเกลียว M5 - 4 หุน ?